MPO (Multi-Picture format) files for 3D photos and multi-angle photos can now be displayed under Photo and in [Photo Gallery]. 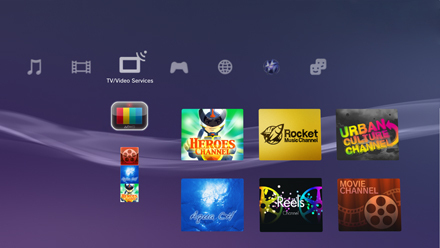 A feature has been added for sharing information about products in PlayStation Store with your Friends. By selecting [Recommend] on the detail page for a product, you can send a message introducing the product to your Friends. 3D playback* of Blu-ray Java™ (“BD-J”) content is now supported. You can now enjoy BD-J content recorded on Blu-ray 3D™ discs. Trophy information can now be synchronized with the server automatically on a regular basis. This feature is exclusive to PlayStation Plus members.